When Ernest Morrell graduated from college, he had a chance to pursue a fully-funded graduate fellowship at the Harvard Business School or a lucrative career in finance with Bank of America. Instead, he chose to teach English in a severely under-resourced urban school in his hometown of Oakland. Morrell’s passion to better serve at-risk youth and their families and help break the cycle of poverty led him to become a renowned high school English teacher and to subsequently embark on a prolific academic career, where he has formed a generation of future teachers, scholars, and leaders dedicated to improving the lives of marginalized urban youth. Morrell joins the University of Notre Dame’s faculty this summer, as he assumes the Coyle Professorship in Literacy Education, with appointments in the Department of English, the Department of Africana Studies, and the Institute for Educational Initiatives. Additionally, he will be the inaugural director of IEI’s Center for Literacy Education within the Institute. Morrell’s passion for his teaching and research developed from watching urban students struggle with how others saw and defined them. 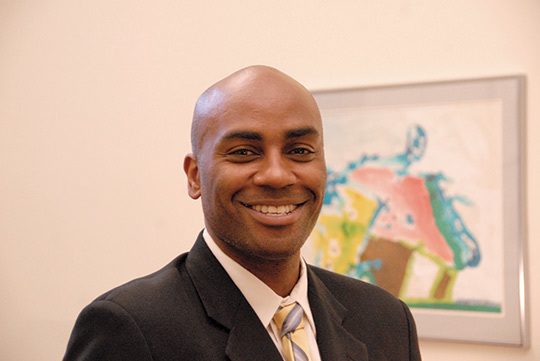 Since earning his bachelor’s degree at the University of California, Santa Barbara, and doctorate at the University of California, Berkeley, Morrell’s research has focused on critical educational theory, social movement theory, English education, African diaspora popular culture, and other topics. He is the author of Critical Media Pedagogy: Teaching for Achievement in City Schools, which won Choice magazine’s Outstanding Academic Title Award in 2014, as well as Critical Literacy and Urban Youth, The Art of Critical Pedagogy: Possibilities for Moving from Theory to Practice in Urban Schools, and Becoming Critical Researchers: Literacy and Empowerment for Urban Youth. He is nationally recognized for developing powerful models of teaching and learning in classrooms and non-school environments to successfully engage urban youth and communities. Morrell most recently held the Macy Chair of English Education at Columbia University’s Teachers College and was the director of Columbia’s Institute for Urban and Minority Education (IUME). For more than 40 years, IUME advanced a wide variety of initiatives to study and to improve the quality of life of urban youth through education. Morrell says he was drawn to Notre Dame because of the way he will be able to make his faith a driving force behind his teaching and research. “One of the disconnects in my career has been thinking about my professional self and my Christian self. There have been times when it doesn’t seem like those selves can come together at the modern university,” he said. That disconnect carries over into research. In addition to receiving multiple appointments, awards, and recognitions, Morrell was recently elected to a three-year term on the American Educational Research Association’s Executive Committee. In this role, he will give Notre Dame a leading voice in scholarly inquiry related to education. Morrell is also a fellow of AERA, the immediate past president of the National Council of Teachers of English, and a member of the International Literacy Association and the ILA’s Literacy Research Panel. The new Center for Literacy Education will explore collaboration between IEI’s English education faculty and the College of Arts and Letters. It will work to transform literacy scholarship and practice in today’s urban and multicultural urban schools — an incredible opportunity, Morrell said, to tie together the work of the English and Africana Studies departments and IEI. Originally published by Theo Helm at al.nd.edu on July 14, 2017.